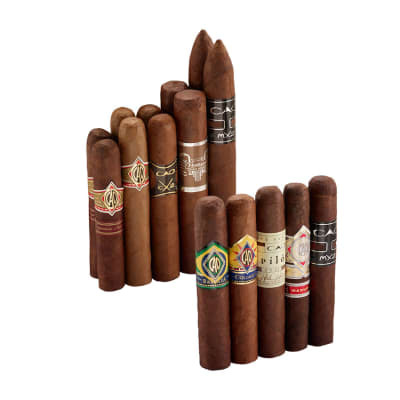 Our Best of 90+ rated cigars selected especially for the cigar lover who wants the best of the best premiums on the market - offered at an affordable price. 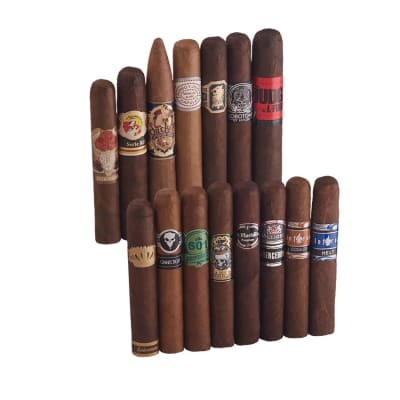 Rated by customers like you, not some overpaid suit - we put together this full-flavored cigar sampler in a nice mix of sizes and shapes so you can smoke like a pro in no time. 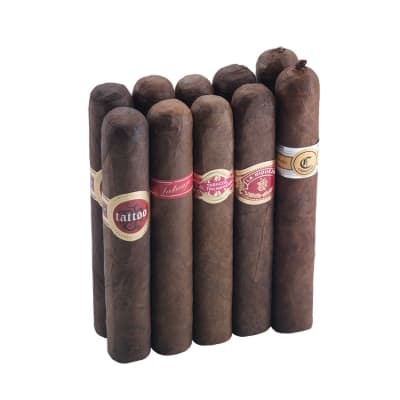 We're talking cigars from Crowned Heads, Eiroa, JdN, Rocky Patel, AJ Fernandez, Jesus Fuego, Erik Espinosa - this who's who list goes on and on. 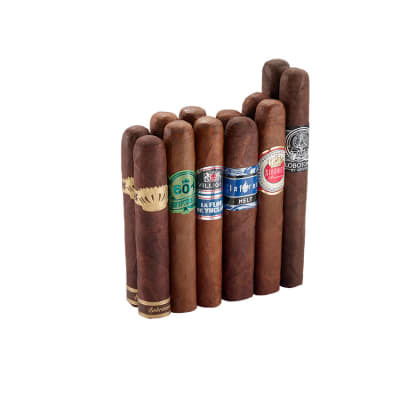 The smokes in here are proof that these cigar makers all at the top of their game - not to mention the classic brands like Romeo, Oliva, La Gloria Cubana, Punch, and more. Add this stellar collection to your cart now!